With the standard three-sibling visual phasing, it’s usually easy to tell who owns each crossover. However, if you’ve adapted the technique for two siblings plus others, such as a nephew (like I did) or a half sibling, sometimes you can’t. In those cases, stranger matches can be very helpful. In this post, I’m going to demonstrate the use of strangers in visual phasing, using an example from my own results. In a previous post, I showed how I did visual phasing with two siblings and a nephew (the son of a 3rd sibling). On each chromosome, I start the same way, with my mother (my nephew’s grandmother) in the extra view. I the set the crossover points and label the ones I can. On Chromosome 4 (figure 1), I could label all of them except for 2 – one at 27.3 Mb and one at 174.5 Mb (outlined in red). I know these crossovers belong to either L or J, but I can’t tell which. Following the same technique I used previously, and with the help of some known cousin matches, I was able to figure out most of the chromosome, with the exception of those two unlabelled crossovers. Time to bring in some strangers to help, starting at the crossover on the left, at 27.3 Mb. Because I know this crossover belongs to L or J, and because I know it’s a paternal crossover, I need to find some paternal matches to L and J over that section of Chromosome 4. Since our mother has been tested and her kit uploaded to GEDMatch, I’ve already used the Phasing utility on GEDMatch to create phased kits for both L and J. I run the GEDMatch Tier 1 Matching Segment Search utility on the two phased paternal kits and look for matches around the 27.3 mark on Chr 4. I found 6 people who match L from about 22 Mb to 34 Mb. Those same people match J from 22 Mb to 27.3 Mb. So, even though I have no idea who these matches are (hence the term “stranger matches”), it doesn’t matter. This is enough to tell me that the crossover at 27.3 must belong to J. That enables me to complete the first section. Let’s look at the other end, around 174.5. This one is less clear-cut. Neither of us have matches that cross 174.5. We have the same two matches (Karen and Mary B) from 155 Mb to 163 Mb, as expected. And after 174.5, we have different matches, as expected. But who has the Cooper matches and who has the Sharpe matches? To figure this out, I needed to dig into these matches a bit further. First, I ran the Multiple Kit Analysis on GEDMatch for each kit against L, J & R, to see if any of them matched on other segments besides the one on Chr 4. The only one that did was John M. (the last line of the J table), who matches J and R on Chr 17, in addition to the match with J on Chr 4. As well, I looked up John M in J’s FTDNA matches (his last name appeared in GEDMatch – I removed it for privacy) and found that he has a tree attached to his DNA results. He has ancestors from the same small town in New Brunswick as my grandmother’s ancestors, including one with a surname in that line. Since our paternal grandfather and grandmother came from different countries, it would be highly unlikely that we match on Chr 4 on one line and Chr 17 on a different. And since both segments are of a decent size (12cM and 14.9cM), it’s unlikely that one is a false match. So while I haven’t (yet) figured out exactly who our common ancestor is, I’m quite confident that John M. is a Sharpe match. Therefore, the crossover at 174.5 also belongs to J. With the help of some stranger matches. The X-chromosome is passed down differently than the other 22 chromosomes. Since men only have one X chromosome, which they get from their mothers, when a man passes his X onto his daughters, he passes an intact X. As women have two X-chromosomes, one from each parent, when she passes her X onto her children, she could either pass along her paternal X, her maternal X, or a mixture (recombination), like with any other chromosome. According to a study done by Blaine T. Bettinger (The Genetic Genealogist), in 14% of cases, the X-chromosome is passed down intact, with no recombination. Most X-Chromosomes undergo one or two recombinations. Here are the percentages seen among the 250 samples in the study. Since I’ve done Visual Phasing using my results, my sister’s and my nephew’s, I thought it would be interesting to see how our X-Chromosomes compare. Here’s the overall view. The bottom shows the match between each of us and my mother. As expected, my sister and I share a full X with our mother (if we didn’t, she couldn’t be our mother!). My nephew does not. First up, me. As a female, I received two X chromosomes – one from each of my parents. Since my father only had one to give me, from his mother (Sharpe), of course I got his intact. From my mother, I happened to also receive an intact X chromosome with no recombination. I got her maternal (Hicks) X chromosome. Next is my sister, J. She too got intact chromosomes from both parents, but in her case, she received our mother’s paternal (Prowse) X chromosome. So while we each received an X with no recombination, we received different ones. The recombination point could be anywhere within the red square. Where exactly it occurs is unknown, but we know there is one, and probably only one. So, of my mother’s three children, one received her complete maternal X chromosome, one received her complete paternal X chromosome, and the third received a combination. DNA never ceases to fascinate me! Visual Phasing is a technique whereby the DNA of siblings is assigned to each of the four grandparents. It is usually done with 3 siblings, though you can adapt the technique, as I did, with 2 siblings and a nephew. As I mentioned in that post, I knew I want to try it as soon as I heard about it. I wasn’t really sure whether it would be helpful for me, but I was curious about the technique. While I was waiting for my sister’s and nephew’s results, I was chatting with a genealogist I know who referred to Visual Phasing as a “party trick”. She didn’t feel that there was much to be gained from doing it. Having now mapped most of my chromosomes using Visual Phasing, I respectfully disagree – at least for me. Your mileage may vary. The vast majority of my DNA matches are on my maternal grandmother’s side, as this line has deep Colonial American roots. As discussed in a previous post, I’m currently particularly interested in matches on my maternal grandfather’s side, as that’s where I’m attempting to break down a brick wall. As you can see by the the section outlined in red, this must be a Prowse match (purple). Since that’s my mother’s paternal side, the line I’m particularly interested in, I add this match to my spreadsheet as a match of interest. Doing this systematically has helped me develop a subset of matches to work with. 2. I have a much better understanding of how DNA is passed down. Why, with some matches, do I share the exact same amount as my mother, with some I share about half, and with others still I don’t share any at all? Why do I match some people that my sister doesn’t, and vice versa? How can my nephew share more with a person than I do, when he’s one generation farther back from the match than I am? I have since learned that these are extremely common questions. I quickly learned that the stock answer is “because of the randomness of how DNA is inherited”. It was only when I started doing visual phasing that I really got it. It makes sense to me now. For example, with the match above my mother and my nephew (her grandson) share about the same amount with this person, I share a bit less, and J is not a match at all. And that’s totally normal. It took seeing it for me to really understand. I know that not everybody can do Visual Phasing. If you don’t have siblings to work with, you’re out of luck. But if you do, it’s worth considering. Of course, only you can decide if there’s a value to you – it depends on what you’re trying to accomplish. For me, it was worth it. Plus, it’s kinda fun – but then again, spreadsheets and graphics make me happy. What do you think? Party trick, or valuable tool in the genetic genealogy toolbox? Are you familiar with Visual Phasing? I’ve always loved logic puzzles, so when I first heard about Visual Phasing as a way to determine which segments of my DNA I got from which grandparent, I knew I had to try it. Problem is, you need three siblings to do Visual Phasing, but as my oldest sister died over ten years ago, I only have two siblings to work with. But I do have a nephew, my oldest sister’s son. When I saw a blog post on Genealogy Lady about VP with 2 siblings, I figured I should be able to adapt the process to working with 2 siblings and a nephew. Besides, I also have my mother’s DNA results, so that would be a big help. Both my sister and nephew agreed to be tested. While I waited for their results to come in, I started practising using a friend’s results, along with his two siblings. I did enough to get a feel for how it worked. That was very helpful before trying to adapt it to my situation. Here’s the process I followed. I’m assuming that you understand the basics of Visual Phasing, so I won’t be explaining every step – only the ones that differ from the standard 3-sibling approach. See here for the basics, and if you’re going to attempt Visual Phasing, I highly recommend you join the Visual Phasing group on Facebook. I used Steven Fox’s fabulous Excel Visual Phasing spreadsheet (available through the Facebook group). In the setup, I included my mother in the cousin table. While this wouldn’t be of much use with 3 siblings, since all would share a complete chromosome with her, including her is very useful for comparing to my nephew R (her grandson). While I don’t have any 1st or 2nd cousins to work with, I have a few 2C1Rs on my Cooper side, and lots of 3rd-4th cousins on my Hicks side. I have very few known cousins on my Sharpe or Prowse lines (at least not that have uploaded to GEDMatch, or anywhere else with a chromosome browser). Note that in addition to the crossovers that you see in the top section, there’s an additional one for R compared to his grandmother (outlined in red). I included that as well, even though it doesn’t appear when comparing R against L or J. Figure 2: I added the megabase values and assigned the crossovers. Purple circles – the crossovers at either end are confusing. I’ll leave them unlabelled for now and come back to them later. Figure 3: I shaded out the unnecessary parts of R’s chromosome. This is where it is different using a nephew instead of a sibling or a even a half sibling. When I first did this, I shaded out the whole paternal (upper) chromosome, since I only share R’s maternal chromosome with him (he’s my sister’s son). In the maternal (lower) chromosome, I used all four grandparents. When his mother (my sister) passed on her chromosome to him, recombination would mean that he would get segments from all 4 of her grandparents (his great-grandparents). The spreadsheet gave me an error message every time I had more than two grandparents represented on the same line. I posted in the Visual Phasing Facebook group asking how I could turn off the warning. Someone suggested that I do it this way instead, which worked much better. So in Figure 3 (above), where the bottom line is blacked out, it means that R received his mother’s paternal chromosome and there is no match to his maternal grandmother (seen in the extra view). Where the top line is blacked out, R received his mother’s maternal chromosome, as can be seen in the extra view. Figure 4: Here’s where we start assigning segments. I found it easiest to always start with R, and since I knew whether the segment was maternal or paternal, I didn’t need to use G1, G2, G3, G4 at all, and could start straight away with P1, P2 and M1, M2. I picked a maternal segment of R’s, and labelled it M1. Since L&R match and J&R don’t, L=M1 and J=M2. And since L&J don’t match on that segment at all, I set the paternal segments to L=P1 and J=P2. Figure 5: I could then extend to the next crossover points. Figure 6: There’s a crossover on either side of R’s M1. On the right, it clearly goes from M1 to M2. On the left, it switches from M to P. Since he matches L and not J, it must be P1. On the far left, there’s a crossover at 2.6. Before that crossover, R matches both L and J, but L and J don’t match each other. Could it be that L and J do match, but it doesn’t show up with the GEDMatch defaults of 7cM and 500 SNPs? Sure enough, L & J do match at the beginning (and also at the end, we’ll come to this later). Therefore, the crossover at 2.6 must belong to J (Figure 7), and it’s a crossover on the paternal side. Figure 8: At 36, there’s a crossover that I already established belongs to J. Since we know that R is maternal at this point, and J&R changes from matching to not matching at this point, then this must be a maternal crossover, where J changes from M2 to M1. Figure 9: At 44.5, R changes from maternal to paternal (don’t forget, that’s not his paternal, it’s his mothers. We’re not dealing with his paternal chromosome at all). Since he matches L, it must be P1. Then, at 82, it changes from P1 to P2, and stays the same until R’s next crossover. Figure 10: At 92.7 and 107, there are crossovers belonging to L or J, but we don’t know which. It’s not on the paternal side, as there’s no change in the match of either to R. But which is it? Does L change from M1 to M2, or does J? We’re stuck. Without knowing which one changes here, we can’t go any further. Nor can we know whether R’s next section is M1 or M2. Time to start bringing in some cousins. Maybe that will help. Figure 11: First up, is George, my 2C1R on my Cooper (paternal) side. Since he matches L but not J, we now know that P1 = Cooper (orange) and P2 = Sharpe (blue). Figure 12: Next up, is E. Hicks, a 3C1R on my Hicks (maternal) side. Because she matches in the new section, we know that the maternal side there is Hicks. Note that if you’re using Stephen Fox’s Excel spreadsheet to do this, you will get an error if you have more than 2 entries on the same line (like here, where I have M1, M2 and Hicks). You just need to click OK, and you can keep going. Although it looks like the match between L & E. Hicks extends farther on the right than J, if you look at the numbers, they both end at 113,620,851. However, since J’s match only begins at 107, we now know that that crossover must belong to J. As well, we can do some extending to the right (Figure 13). But what about the crossover at 92.9 (outlined in red)? It could be an L crossover, which would mean that M1 = Prowse. Or it could be a J crossover, which would mean that M1=Hicks. Which is it? Fortunately, I have another known 4th cousin match on Chr. 11 (along with a larger segment on another chromosome). I hadn’t included him when I entered cousins into the spreadsheet, so I ran a GEDMatch Multi Kit Analysis on GW, FC (my mother) and the three of us. G.W. is a match on the Prowse side. Therefore, we know that M1=Prowse and thus the crossover at 92.9 belongs to L (Figure 14). So M2=Hicks. Figure 15: The crossover at 119.2 belongs to L. And since there’s R and L match after that point, it must be a maternal crossover from Hicks to Prowse. Which brings us to the final crossover, after which it appears that nobody matches anyone else. However, it’s impossible for R to match neither L or J, if L & J don’t match each other. There must be some matching at a lower threshold. I may like logic puzzles, but that just broke my brain. Maybe there are two crossovers. Maybe one of those matches is real and one isn’t. In any case, I looked at each of our matches on GEDMatch’s Matching Segment Search tool (Tier 1), and none of us have any matches at that part of the chromosome (at least not at the default thresholds), and it’s a very small segment (3.8cM) so I’m not going to worry about that little bit at the end, at least for now. You can see that on the paternal side, I (L) received a complete Cooper chromosome, whereas J received an almost complete Sharpe one. R’s mother got both. We all have some recombination on the maternal side. Chromosome 11 was a fairly easy one to figure out (with the exception of that end bit), since I had some good cousin matches to work with. In a later post, I’ll share some of the more challenging ones I faced. As well, I’ll do a post on how VP has helped me in my research. Until then, if you have any thoughts or questions on this, or if you need any clarification, please leave a comment and I’d be happy to respond. Part 1 – Introduction: I introduced my 5th great grandmother, Charlotte Richardson and the two competing theories as to who her parents were. Part 2 – Identifying possible matches: I outlined the process I followed to identify possible matches, in order to test the two theories. Part 3 – Contacting and testing possible matches: I contacted female-line descendants and found one from each line who agreed to take the mtDNA test. 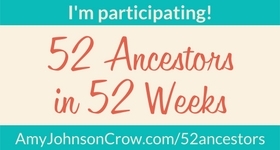 Part 4 – Comparing results: I compared my test results to those of the two testers and found a match between me and the descendant of Barbara Richardson. Now that we know that Charlotte and Barbara were sisters, this opens up new avenues to pursue to determine who their parents were. So what are the possibilities? Well, first up, there’s the story that Charlotte’s father was a British Army Officer whose regiment was stationed in Charlottetown, PEI. Well, it turns out that the earliest British Regiment on Prince Edward Island was established in 1783, 7 years after Charlotte’s birth and one year after Barbara’s. However, there was a militia called “Callbeck’s Provincial Company” from 1776 to 1783. So it could be that Charlotte’s father was a local resident who was part of the militia. Unfortunately, we’ve yet to locate a listing of militia officers to confirm this. Early British records from Prince Edward Island show that there were three Richardsons on the Island in the late 1700s, all in Charlottetown – James, George and Alexander. Many people have Barbara Richardson’s parents as Alexander Richardson and Ann Whittingham. They were married in England in 1779 and arrived in Charlottetown in 1780, two years before Barbara’s birth in 1782. However, if Charlotte and Barbara were sisters, we can rule them out as their parents, since Charlotte was born in 1776 on PEI, a full four years before Alexander and Ann arrived. So that leaves James or George. While we don’t yet have conclusive evidence, James seems to be the more likely candidate. For one thing, the earliest Island record for George Richardson is a land grant in 1779, whereas there are records for James as early as 1770, including a land grant in 1771. Both Charlotte and Barbara had daughters named Hannah. James Richardson died in 1782 or 1783. Hannah then married David Dobson. David Dobson was the older brother of Richard Dobson. At the time of David and Hannah’s marriage, Richard was 15 and Charlotte was 8. It is not at all inconceivable that Richard and Charlotte met as youth, when Richard’s brother married Charlotte’s mother, and that they would marry 10 years later, when Charlotte was 18. If indeed James and Hannah were Charlotte’s parents, we still don’t know where they were born or who their parents were. But we now have some avenues to explore that we didn’t have before. Could Hannah be from West Sussex, where my perfect match’s ancestor was born? It’s certainly a possibility. As for James, there’s evidence to suggest that James, George and Alexander Richardson were closely connected – maybe they were brothers? We’re still working on this. In the first post of this series, I talked about DNA testing as fishing trips and hunting trips. mtDNA is not the ideal tool for a fishing trip. Even if you have perfect matches in the database, your common ancestor may well be too far back to be identified. But don’t discount mtDNA for genealogy! As I hope you’ve seen from this example, given the right conditions, mtDNA can be a very useful tool. You have to be dealing with an all-female line. If there are any men between you and the person you’re interested in, your mitochondrial DNA is not going to help you. You’ll need to find a female-line descendant of that ancestor to test. You have to have a theory to test. If all you know about your ancestor is her first name, mitochondrial DNA is not going to be very useful. You might get lucky and have a match that provides a clue, but it’s a longshot. You need to be able to find female line descendants to compare to. Ideally, I’d love to test a descendant from Hannah’s second marriage to David Dobson in order to confirm that Hannah was Charlotte’s mother, but unfortunately, they are only known to have had sons. Without a daughter whose line I could follow, there’s nobody to compare to. That is, until we determine her last name – maybe we’ll get lucky and discover a sister with some living descendants. Overall, I think it’s pretty exciting that we’ve been able to use DNA to discover information about people who lived over 200 years ago. And while we haven’t definitively answered the question of who Charlotte Richardson’s parents were, we’re a lot closer than we were, thanks to mitochondrial DNA. I’d love to hear your thoughts on this case study. I hope it was helpful! Welcome to the fourth post of this series, where we get to the fun stuff – comparing results! In the first post, I introduced my 5th great grandmother, Charlotte Richardson and the two competing theories as to who her parents were. In the second post, I outlined the process I followed to identify possible matches, in order to test the two theories. In the third post, I contacted female-line descendants and found one from each line who agreed to take the mtDNA test. T2b. As well, I’m missing a mutation in the HVR2 region, which is the part tested with the mtDNA Plus test, and I have an extra mutation in the Coding Region, which is the part tested in the Full Sequence test. Note that I have a few other extra mutations, but when I did the Haplogroup Analysis at this site, it indicated that those mutations are on markers that occur too frequently or change too frequently to be relevant for determining ancestry, so they can safely be ignored. T2 is a European Haplogroup – which was no surprise to me. While not as prominent as Haplogroup H, which is found in about 44% of the British population, it’s not a rare one either. About 6% of the population of England is Haplogroup T2. It’s more predominant in the east of England. You can find more information on Haplogroup T2, along with a nice distribution map, at this site. So unless there’s a misattributed parentage somewhere, most of the people who have parents for Charlotte on Ancestry have it wrong. And since I’m also a descendant of Mary Flintoff’s son Joseph Richardson, it also means that I had two ancestors with the same last name, who lived in the same area, born 3 years apart, who were not siblings, and likely not related at all! So what about Theory 2? My tester for Theory 2 was Don, a descendant of Barbara Richardson. Don’s initial results came back as…. T2! As well, he was missing the same mutation I was, so that was a promising sign. But since the Coding Region is only tested with the Full Sequence test, the results were not yet conclusive. As I mentioned earlier, 6 percent of the British population are T2. And it’s even higher in other parts of Europe, so we could be the same haplogroup without having a recent common ancestor. I ordered the upgrade, and waited again. Fortunately, those results didn’t take long to process. A couple of weeks later, I got notification that his full sequence results were in. Well would you look at that! Don is also T2b. He also has the same extra mutation that I have. Plus, he has another one. What does that mean? Are we a match, or not? As of today, I have 539 matches. Of those, 191 are at a genetic distance of 2 (meaning that we have two differences) and 340 are a genetic distance of 3 (meaning we have 3 differences). I have a common ancestor with all these people, but it could be REALLY far back. I have only one perfect match (genetic distance of 0) – a woman named Alana from New Zealand. We are both T2b, plus we’re missing the same mutation (C195T) and we have the same extra mutation (A7374G). Her most distant known ancestor on her maternal line was born in 1796 (20 years after Charlotte) in West Sussex, England. I also have seven matches with a genetic distance of 1, some of whom I’ve been in contact with. Six of the seven are all GD0 to each other. They are all missing the C195T mutation, but none of them have the A7374G mutation that Alana and I have. So again, we definitely have a common ancestor, but it’s hard to say how far back. That all depends on how long ago our 7374 changed from an A to a G.
And then there’s Don. He’s also a genetic distance of 1 to me, but for a different reason than the the other six people at GD1. Don is genetic distance 1 to me because he has an extra mutation that I don’t have. When they test your sample, they test many different cells. Usually, each of the cells has the same result for the same gene. But sometimes, it does not. According to the chart on the Family Tree DNA Learning Centre, D means samples of that gene showed up as A in some cells, G in others and T in others. For my purposes, the most interesting bit about Don’s mutation being a heteroplasmy is that a heteroplasmy is usually a recent mutation – within the past 3 to 5 generations. Since our common ancestor would be 6 generations back for Don, it is most likely that his mutation occurred more recently than that, and our suspected common ancestor is indeed our common ancestor. A match between Don and I indicates that Charlotte Richardson and Barbara Richardson were sisters (or another maternal relationship, but given they have the same last name, sisters is the most likely relationship). And unless their parents were on Prince Edward Island, left and then returned, which is unlikely, we’re looking for parents who were on PEI, probably in Charlottetown, for at least a 6 years span – 1776 to 1782. The question I most wanted to answer – who were Charlotte Richardson’s parents – remains unanswered. But knowing that Charlotte and Barbara were sisters gives us some very important clues. In the fifth and final post of this series, I will discuss what this discovery has meant for the search for Charlotte’s parents, and give some final thoughts on the use of mtDNA for genealogy.